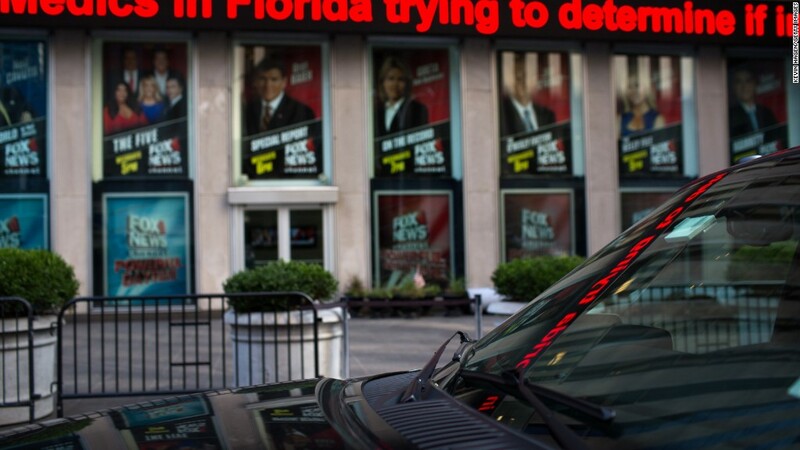 A legal campaign alleging racial discrimination against Fox News that has already attracted more than a dozen plaintiffs could grow even larger, the attorney representing the plaintiffs said Wednesday. At a press conference held at his Manhattan law offices, Douglas Wigdor said he has received phone calls from some on-air employees of Fox News who are not currently part of a suit since he filed an amended version of the complaint on Tuesday. Wigdor, who is representing 13 current or former Fox News employees of color in two related lawsuits, said his firm is in the "beginning stages of vetting those calls." "This lawsuit will continue to grow, I suspect," Wigdor said. The amended complaint itself added to a lawsuit filed late last month by two black women who accused Fox's longtime comptroller Judith Slater of making a series of racially insensitive remarks. A separate complaint filed Tuesday by a former disbursement coordinator in Fox News' accounts payable department who is also represented by Wigdor's firm also targets Slater and the network's top lawyer, Dianne Brandi. Fox said it fired Slater on February 28 after learning about the allegations. Catherine M. Foti, an attorney for Slater, said in a statement Tuesday that "all claims of racial discrimination" against her client "are completely false." In a new statement on Wednesday, Foti condemned Wigdor for invoking Jim Crown in the legal complaint, saying it "demeans the atrocities committed during those times." "These frivolous charges are solely aimed at generating headlines, inflaming racial tensions and poisoning potential jury pools and judges," Foti said. Among the new plaintiffs added to the suit in the amended complaint is Kelly Wright, a Fox News reporter and anchor. Wright claims that he has been virtually sidelined at the network, and the updated complaint included his allegations against both recently ousted host Bill O'Reilly and current Fox News co-president Bill Shine. At the press conference Wednesday morning, Wigdor said Wright is the lone "black male anchor" at the network. (Juan Williams, who is a black man, is a co-host of "The Five," however.) Wigdor also called on Fox News' parent company, 21st Century Fox, to add diversity to the company's board and executive team. The complaint asserts that O'Reilly rejected showing a video series featuring Wright on his now-canceled program, "The O'Reilly Factor," because it showed black people in "too positive" a light. And according to the complaint, Shine "has demonstrated an obsession with race when it comes to discussions with Mr. Wright, including regularly asking him, 'how do Black people react to you' and 'how do you think White viewers look at you?'" A spokesman for O'Reilly, who is not named as a defendant in the lawsuit, declined to comment. In a statement on Tuesday night, a Fox News spokesperson challenged the merits of the new claims. "FOX News and Dianne Brandi vehemently deny the race discrimination claims in both lawsuits," the spokesperson said. "They are copycat complaints of the original one filed last month. We will vigorously defend these cases." The lawsuit adds a new layer to the ongoing legal woes at Fox News, which last week parted ways with O'Reilly following revelations of settlements paid to five women who accused the host of sexual harassment or verbal abuse. That development came nine months after Fox News chairman Roger Ailes was forced out amid his own sexual harassment scandal. On the eve of his ouster last week, O'Reilly's attorney said his client was the victim of a "smear campaign" that was "orchestrated by far-left organizations bent on destroying O'Reilly for political and financial reasons." Surrounded by all but two of the other plaintiffs at Wednesday's press conference, Wright sought to counter that charge. "Let me make something very plain here," Wright said, "I, or the people you see with me, do not have any incentive from some left-wing conspirator group or some left-wing financier to try to destroy Fox News."